Whether you’re looking for heater maintenance, heater repair, or a new heating system, Sunny Appliance Repair can help. We’re your best, most-trusted option for fast and easy local service, repair, and maintenance of your heat pump and AC/heating unit repair. We provide high-quality repair service for all types of home heaters, furnaces or AC. Wall heaters are usually installed in medium or small sized houses, apartments or rooms. 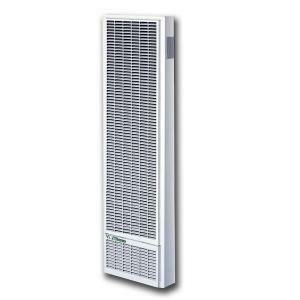 Since wall heaters don`t have a blower motor or duct system, they usually only heat 1 or 2 rooms. Their design is quite simple: a gas valve, a pilot and a pilot generator. They all also require limit thermostat as a protection. If your heater is not functioning properly and can't maintain the desired temperature, call Sunny Appliance Repair and enjoy top-class service. Heater repair service is affordable and useful! 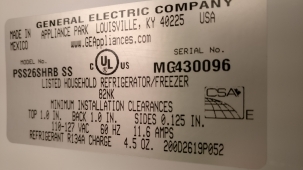 Sometimes, when it seems to be that the heater breaks down, it is easier to buy a new one, but in practice it turns out that heater repair service costs in 2-3 times cheaper than buying a new heater. Our service engineers are trying to repair the components instead of replacing new ones. Because of this specificity, our water heater service is so popular and required. We also give a guarantee on the work which is performed at 1-12 months. We are sure that you can try to repair the heater by your own, but we strongly recommend you not to do it! As such repairing processes often end with calling of repair specialists. The best strategy in case of breakage of the heater is immediately attribution to the service center, so you save time and money. If you want that your heater works successfully, you must adhere to the rules of operation and use our service heater repair. It is strictly forbidden to cover heater with anything, it could cause a fire. The hot heater is not allowed to drop to the floor. It is necessary to monitor the status of the heater, to prevent overheating, do not spill liquid on it, and then the heater will work long and reliably! In the event of any fault, please contact our company and someone from Sunny Appliance Repair will come to you with the modern equipment and best technologies of repairing. We understand that heater is the best tool for using in autumn and winter. That’s why we will do our best to come to our clients as soon as possible to help them and not to leave their family members in cold apartments. We offer the most affordable prices in the region and quality service which can’t be compared with the competitors. Well-educated workers, best conditions and real help wait for you in Sunny Appliance Repair. We will always help!